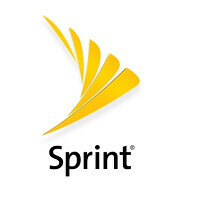 Sprint today announced the Starter Unlimited Data Plan, that will give you unlimited data for only $20 a month. There is one caveat though, the plan gives you just 1GB of high speed data. Unless you don't mind watching your data speed change from cheetah to snail after an hour or two of use every month, this might not be the plan for you. Once the 1GB of high-speed service is consumed, subscribers receive unlimited 2GB data. Additional high-speed data can be purchased. The plan requires subscribers to add unlimited talk and text for another $20 per month (which includes Sprint Global Roaming). So the bottom line is that you are getting unlimited talk, text, Sprint Data Roaming, 1GB of 4G LTE data and unlimited 2G data, for $40 a month. The plan will be offered starting tomorrow. At the same time, Sprint has announced a $70 Unlimited High-Speed Data Plan that offers 3GB of mobile hotspot usage each month. This plan includes unlimited talk, text and Sprint Global Roaming. Additional lines will cost $60 each with a limit of 10 lines. Once that gig is used up, it's unlimited molasses speeds. That's too fast for the Sprint network. More like molasses pouring on a very very cold day in -10 degree weather. lol that's a pretty accurate description. OMG you posted something that made sense!!! WOW FINALLY!!! Sprint LTE is already pretty close to molasses before any throttling. The 4G is molasses speed.. The 3g is "don't bother" speed. Nope and nope. T-mobile offers unlimited data plan for 2 ppl $100. First line is unlimited and 2nd line as like 10gb of data. MetroPCS only chargers $40 for 2gb of data and any additional lines is -$5. yea but back in those days a lot of data plans were unlimited. One phrase: Unlimited does not apply for this. Why does At&t offer 300MB? It doesnt worth it. This plan is actually cheaper than T-Mobile's similar 1GB plan by $10. The difference is that you get Music Freedom, so that's not so bad on your data hit. FWIW I have both T-Mo and Sprint. For $30 a month I get 5GB of LTE speed on T-mobile, thanks anyway though Sprint. It's the prepaid plan that you can get through Walmart or online from T-Mo. Gets you unlimited talk, text, Music Freedom, and 5GB of high speed data (2G speeds after 5GB). except the talk is actually only 100 min.